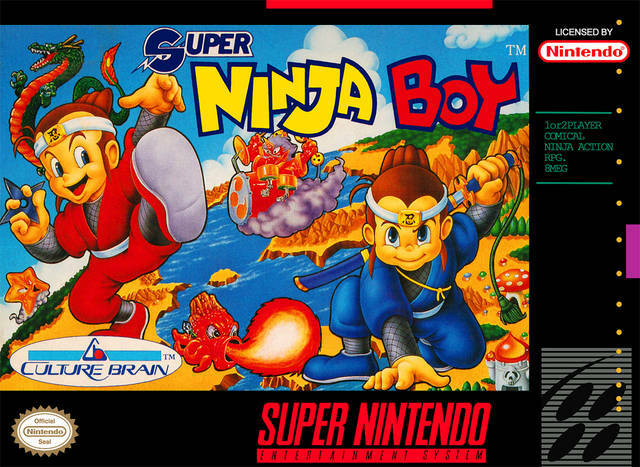 Super Ninja Boy for Super Nintendo has you help all of your allies, who will provide you with useful information and give you much needed support as you take on an unknown evil. Your adventures will take you to several different regions, including Mysteryland, Fairyland, and Futureland. For 1-2 players.